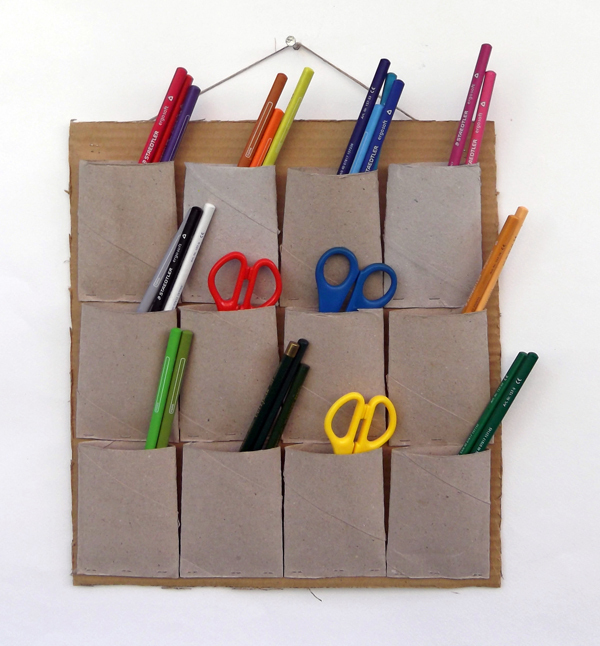 Make a wall-mounted storage system using recycled toilet paper rolls, to hold pens, scissors, craft supplies, brushes etc. 2. 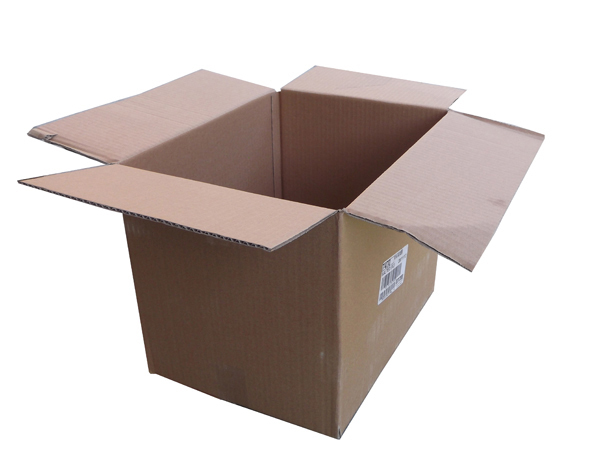 Unfold the cardboard box. 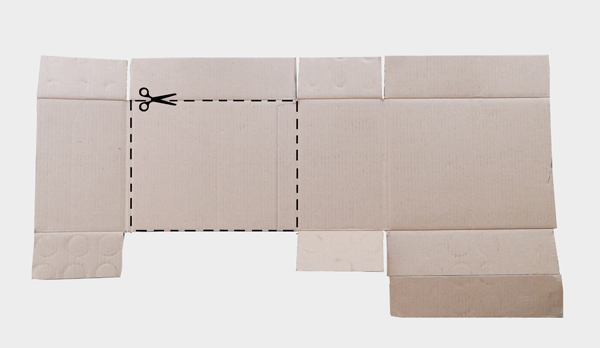 With scissors cut out one of the box's sides, as shown in the image below. 3. 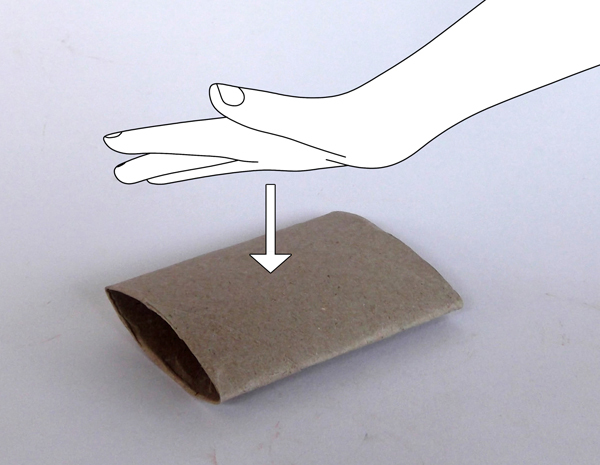 Pick one paper roll and press it down with your hand to make it flat. 4. Seal with stapler the bottom of the roll. 5. 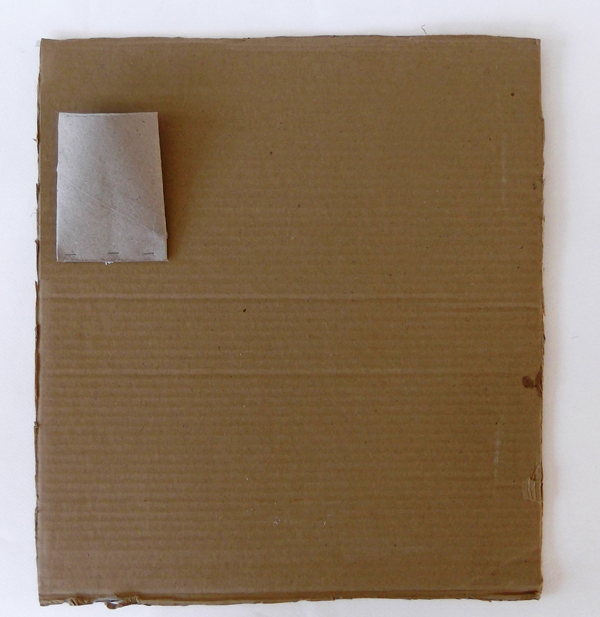 Apply glue at the one side of the roll and glue the roll at the top left corner of the cardboard paper. 6. Leave enough free space on the top side for pencils. 7. 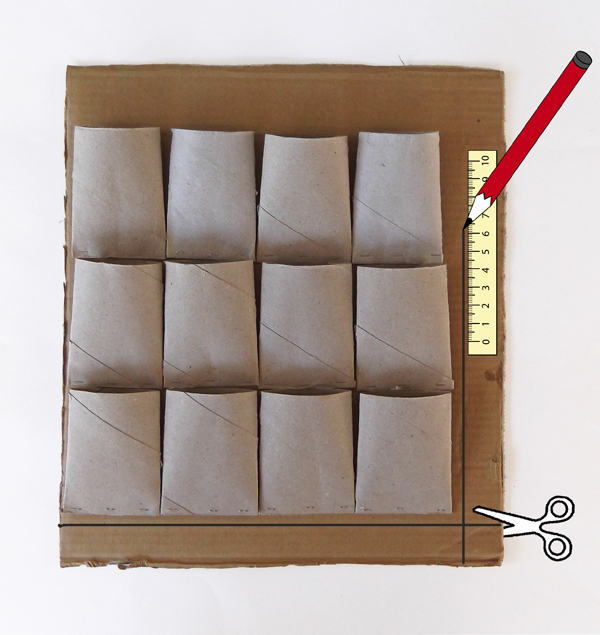 Glue more toilet paper rolls in horizontal and vertical rows. 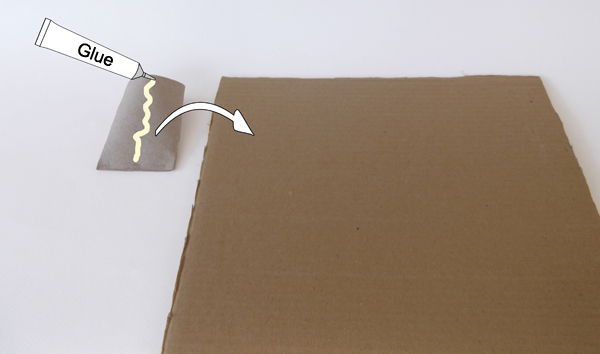 In case, the cardboard base is larger than the rolls, draw some guide lines with the ruler and cut with scissors the cardboard paper. 8. 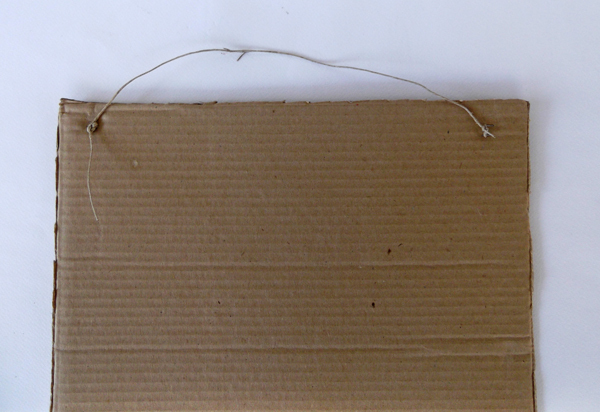 Cut a piece of rope (about 30-40cm long). 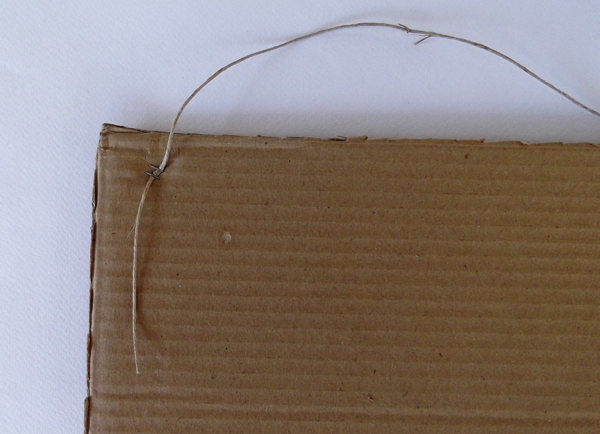 Turn the cardboard base over and bind the end of the rope at the top left corner with two staples. 9. 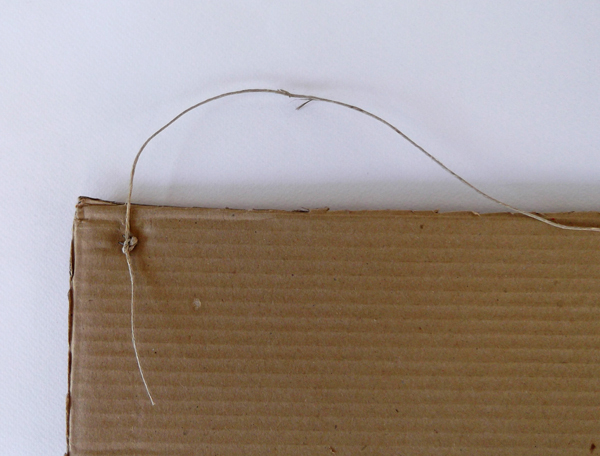 Tie a knot around the staples. 10. Bind the other end of the rope at the opposite corner. 11. The wall-mounted storage system is ready. 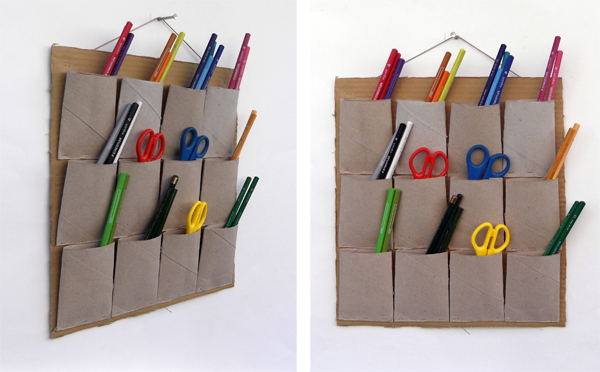 You can hang it on the wall and store pencils, pens, brushed, scissors and much more. 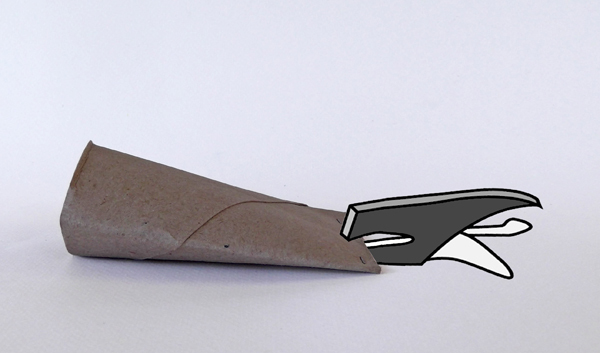 Product designers try to create products that apart from eye-catching are functional and useful. Their work can become a great source of inspiration for young crafters. 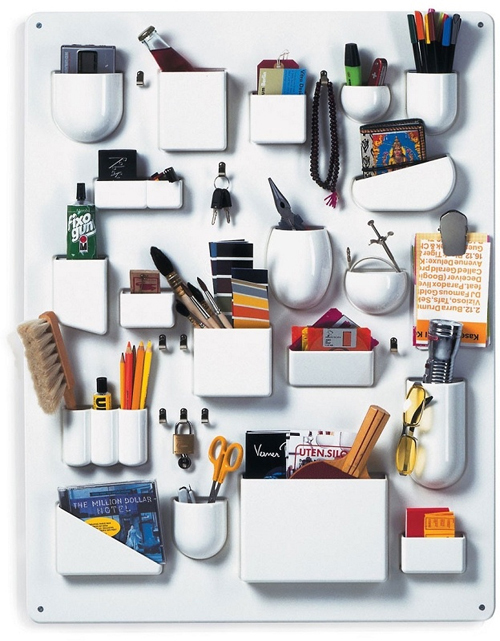 Take a look at some of the most interesting wall mounted systems, designed by professional designers and architects. Uten.Silo by Dorothee Becker. The product has containers of different shapes and sizes, metal hooks and clips bringing order to offices, kitchens, workshops, bathrooms and childern's rooms. 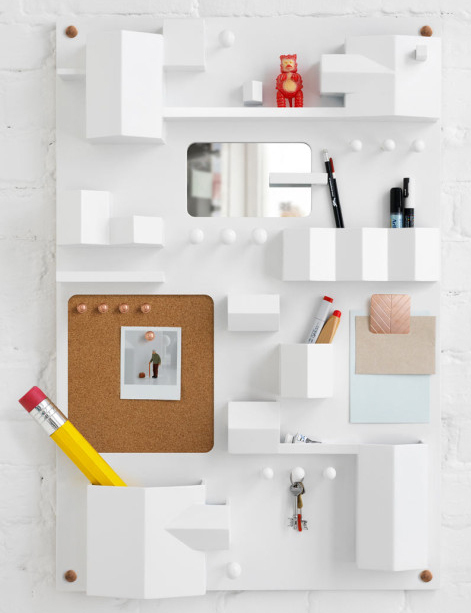 Suburbia modern wall storage by Note design studio. The unit resembles an aerial view of a town, since each cubby represents a house or sections of a building. 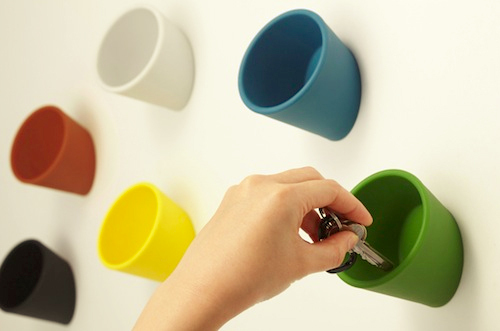 Cuppo by Ideaco, is a small container that can be attatched to any surface.